For small and medium sized business, warehouses, manufacturers, distributors and importers, controlling freight shipping costs can be essential to maintaining the profitability of product lines, or even the success of the business itself. Following please find several essential steps to avoid extra surprise charges in freight shipping. 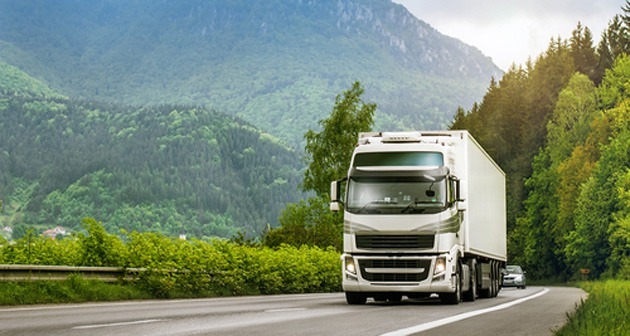 Before you allow the carrier or broker to dispatch the truck, be sure you have written terms from them that describe in full the load and include all fees. You will need this written document (clearly from them, in the form of an email, quote, or approved purchase order) in the event they overcharge you when invoicing. You never want to be in a position where any part of the pricing was based on a phone call, or your notes alone. How can you prove the carrier promised to deliver the load, all in, for the price you agreed to pay? The key to a valid fixed cost quote is accurate length, width, height and weight measurements. If the carrier shows up and your load is larger or heavier than anticipated, you will immediately pay more. Make sure that the truck type you are ordering can reach the pickup and delivery locations. Can a 53′ truck make the turn in front of your facility? Can they pickup from your dock? Check yourself to make sure the carrier cannot classify either pickup or delivery as residential. Don’t misrepresent a residential location as commercial and hope the carrier won’t notice. Residential pickup or delivery will always cost more. You want to include this information in the original quote request so you find a carrier that offers the best rate for this special service as part of the original quote. Special services include residential delivery/pickup, tailgate, scheduled time for pickup or delivery (as opposed to anytime during the specified pickup or delivery day), hazardous goods, shipment in bond, and others. Understand what each one means and make sure it is included in the original quote request. If you are not clear about the special services needed, the carrier will provide it anyway and bill you an uncontrolled rate. You want to know in advance exactly what special services you need so make sure they are included in the quote. Special services fees vary by carrier and you will use this information to get the best rate from the beginning. Be sure to have a customs broker that can clear goods going into the country of delivery and get all paperwork complete before you contact the carrier or broker to arrange pickup. Ask your carrier or broker for a recommendation in advance if you don’t have a customs broker yet. You don’t want to leave this to the day of the shipment, because the load can be hung up in customs, costing you extra charges, delay and lots of stress. Part of the cost of each shipment is how fast it will be delivered. Don’t let brokers or carriers make promises only over the phone. Get the delivery dates as a firm part of the rate quote in writing. Also have a fallback plan in case weather or other events delay your shipment. Don’t plan for key displays for a trade show, for example, to arrive the morning of the show, or even the day before. Wherever possible build in an extra day or two for time critical shipments so an unexpected delay will not seriously hurt you. When you get your fixed cost quote, is it “all in”? Be sure that taxes and fuel surcharges are clearly stated, otherwise the final bill can easily be 20-40% higher when the carrier adds in these charges. Carriers and brokers normally offer virtually no insurance ($2.00/lb). If you are shipping valuable freight, be sure to get extra insurance, and make sure all quotes clearly state this coverage and what it costs. Also check in advance with third parties to make sure the carrier or broker has a history of paying claims. Too many carriers and brokers have a policy of automatically denying any insurance claims, forcing shippers to sue in the event of damage. Make sure you are correctly covered by an insurance company, carrier or broker that will honor your claim. Be sure to securely crate, package, plastic wrap or otherwise protect your load in advance. Most freight damage can be prevented by correct packaging, and you don’t want the stress and wasted time of damaged freight and the claims process. Take the time in advance to package the load correctly. Most carriers and brokers offer credit terms. Ideally you should use these terms to finance your freight shipping, collecting from your customers for each load before you need to pay the freight bill. But be sure to pay the freight costs promptly when invoiced to avoid finance or collection fees. Be sure to carefully describe what you are shipping to the carrier or broker, so they dispatch the correct equipment. You don’t want them to show up with a van when you need a step-deck, for example, and you cannot be sure you are getting the best rate unless you know what equipment type you need. Just because a carrier has a excellent rate for one equipment type does not mean they have the best rates for any other. If your shipment must remain frozen, is perishable, or cannot freeze (and is to be transported in northern US or Canada in the winter), don’t be tempted to cut costs, ship it in a van, and hope for the best. You don’t want your customers complaining of damaged goods because several weeks later they realize a perishable item was damaged in transit due to lack of climate control. Be sure to state your temperature control needs in writing, make sure the quote includes this service, and make sure this requirement is clearly stated on the Bill of Lading so all drivers understand and deliver this service. Unfortunately, problems frequently occur during freight shipping, even by the best companies, and you need customer support that answers the phone, cares about you, and will immediately help you get the load delivered on time despite any setbacks. Google reviews are the best indicator of how the carrier or broker will treat you if something goes wrong. Take the time to find a firm that reviewers verify has exceptional customer service, and be sure they are reviewing the company you will have to call, not a third party (some brokers will show customer reviews of the carriers they work with, which won’t help you because what what you need is reviews of the broker itself, who you have to call directly in the event of problems). This should be obvious, but is still a common cause of extra charges. If your load is not ready when the truck arrives, or you are not available to accept the shipment on the day it is planned for delivery, you will frequently pay extra charges for driver detention or the need to reschedule delivery. Wait until the load is completely ready to go before booking the shipment, and be sure the person responsible for receiving the freight has scheduled to have staff on site for the delivery day. Carriers serving North America can be based in the US, Canada or Mexico. Depending on the exchange rates, the rates can be much better (or worse) that they seem at first. Make sure that the quote is guaranteed in your currency. Otherwise you can be in for a bad shock when you get the bill and have to pay the fluctuating exchange rate, which can make the rate 40% or more higher than you expected. Freight rates are notoriously variable between carriers and brokers, and within the same carrier or brokerage house for different equipment types, origins, destinations and delivery times. One company will charge you several thousand dollars, and another will charge only $900 for exact same load, service level and delivery times. To avoid overpaying, always check the rates on online freight marketplaces like Freightera.com to make sure you are getting the best deal. Check back each time because new carriers are brought in regularly, and regional companies can offer rates a fraction of what other carriers charge for the exact load you are shipping now. Sign up and get unlimited free LTL & FTL quotes from 100s of carriers. Eric Beckwitt is the CEO of Freightera.